Epcot features two distinct park sections, Future World and World Showcase, both full of attractions, dining, and entertainment. Throw in Epcot's seasonal festivals like Flower & Garden in the spring and Food & Wine in the fall, and you've got a park that requires a lot of know-how to get around. TouringPlans tools like the Crowd Calendar, Ticket Calculator, and Custom Touring Plans will get you the most wanted Epcot experiences without the hassle of time wasted standing in line. 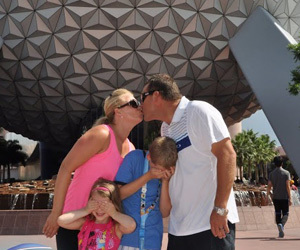 Make your Epcot visit memorable for the time you spent riding Test Track with your family, not the time you spent waiting in line for Soarin'. Epcot is rated 4.0 out of 5.0, based on 9,615 reader surveys assessing its attractions. (See our Ratings and Research page for details.) 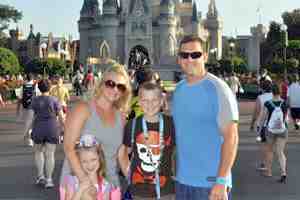 A single-day, single-park ticket to Epcot costs from $96.00 to $122.00. Epcot is located at 200 Epcot Center Dr in Lake Buena Vista, FL. Its phone number is (407) 824-4321. Walt Disney World's second park is also its second most popular. Epcot can be very crowded during holidays, festivals, and special events, so it is very important to know what's happening before you plan your visit. We track wait times every minute of every day at Epcot, so we know things like when the line at Soarin' is going to reach 3 hours long. This also means we know when it has it lowest crowds. Check the Crowd Calendar to see how crowded Epcot is, was, and is going to be. Foodies and imbibers flock to Epcot every fall during the Food & Wine Festival. This popular event brings tourists and locals in droves to the park, especially on weekends. You can see how Epcot's special events affect the Crowd Levels throughout the year and you can even use the Crowd Tracker to track-a-day. We'll notify you when the crowd levels have changed. Special Events affect traffic patterns at Epcot more than any other park. If you're not there for a special event you may find yourself amidst thousands of guests who are. Epcot hosts the Food & Wine Festival in the fall and the Flower & Garden Festival in the spring. All the key events are outlined on the Calendar. See daily crowd predictions, Extra Magic Hours, show, parade and fireworks times, and special events. "We love Touring Plans. 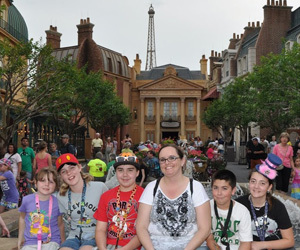 We were able to go in 2012 during spring break which had 10 out of 10 crowds and able to accomplish all of the rides and attractions we wanted. I will always utilize the touring plan system!" A day at Epcot is a day well spent - if you know where to go and what to see. 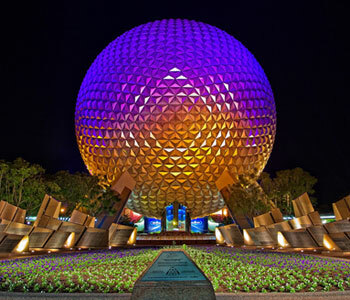 Epcot has several must-dos like Soarin', Spaceship Earth, and IllumiNations. Test Track is popular as well but tends to break down often. Our mobile app Lines will tell you the real time status of every attraction - operating hours, whether it is broken down or not, how long you'll wait in line. Use it to stay one step ahead. Want to know how to use FastPass+? How to get a reservation at Canada's Le Cellier? Is Extra Magic Hour Morning worth it at Epcot? TouringPlans has the most accruate and extensive coverage of all things Epcot. Save up to 4 hours a day using one of our researched and tested plans, or create and customize your own. Our Lines App will keep you updated throughout your stay with the latest park hours, ride closures and wait times. Between Future World and World Showcase, the sheer size of Epcot can wear you out! Here's the Whitbey family taking a break in France. For those making it an all-day venture or even just a fun evening, Epcot offers a host of shows like Voices of Liberty in the American Pavilion and a nightly fireworks show called IllumiNations: Reflections of Earth. Save up to 4 hours a day using one researched and tested plans, or create and customize your own. The (reasonably) new Via Napoli has quickly become a favorite spot for families to dine. 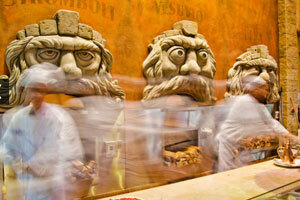 Some of the best pizza in Florida is made in it's ovens, themed after famous Italian volcanoes. Les Chefs de France and more! Ice Cream Martinis and lots of other fantastic snacks. View all restaurants and snack carts in the park, and keyword search every item on every menu! Disney restaurants fill up fast! Learn how to make advance reservations like a pro!